Best Kitesurfing Lessons on Maui! 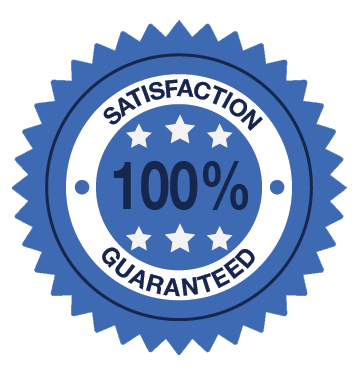 – It’s guaranteed! We specialize in custom private kiteboarding lessons. Our kitesurfing lessons use the latest training techniques and equipment that help you learn faster and safer than ever before and have a blast doing it. Our 1 on 1 private lessons are customized to fit your unique style of learning helping each individual student to acquire the skills to become an independent kiteboarder with the confidence to handle a variety of situations and conditions. We guarantee to provide you with the most fun and productive kitesurfing lessons possible with one of our friendly, professional and patient kiteboarding instructors certified to the highest standards. Aqua Sports Maui leads the pack with a team of the world’s best qualified and highest rated kiteboarding instructors. The best guys are drawn here for the super conditions, the best place on earth for kitesurfing. Our instructors are certified by USKiters and or PASA. Most are double certified! Friendly, supportive, patient and committed to your success. We are passionate about kitesurfing and teaching this awesome sport. We hand pick our instructors from the best in the world, not just for their awesome kiting ability , but for their patience, clear communication style, professionalism and positive attitude. You are our top priority. 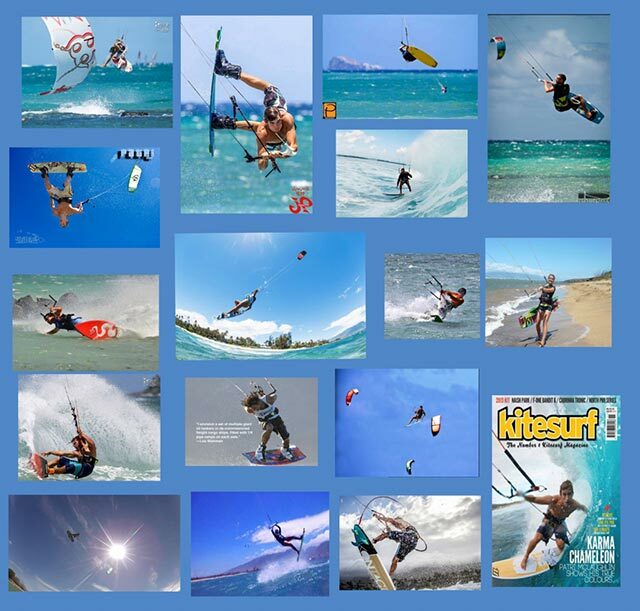 Our goal is to create the best, most fun and productive Maui kiteboarding experience for you. You will meet the most enthusiastic and stoked people on the planet here to guide you in this incredible sport. 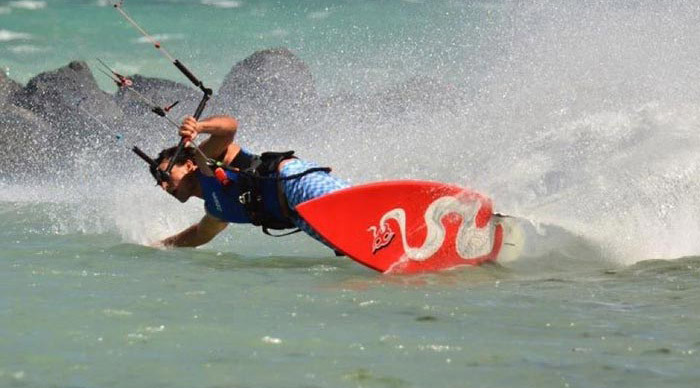 With our emphasis on safety, the world’s best instructors incredibly low prices and our 100 % guarantee, Aqua Sports the best choice for an awesome Maui kiteboarding experience. 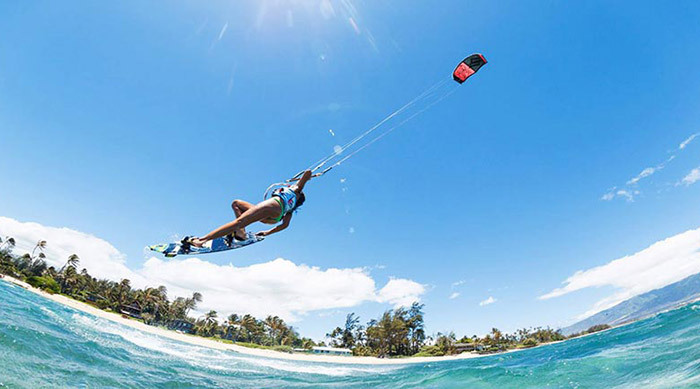 Aqua Sports Maui is the only North, Airush and Cabrinha Authorized Maui Kiteboarding School. We are not limited to 1 brand and work with a variety of shops so can genuinely guide you to purchase the right gear for you, when you are ready!! Many of these shops offer exclusive discounts to our students.We use new, state of the art gear from the best kite companies in the world. North’s Evo line of kites are stable, easy to control, easy relaunch and perfect for learning on Maui. Airush for a sweet ride and Cabrinha Vectors and Swithblades, awesome kites to learn and progress on with their stability and easy relaunch. All equipment is included in your lesson. Learning to kitesurf has never been easier, you can’t beat this amazing sport for water fun. 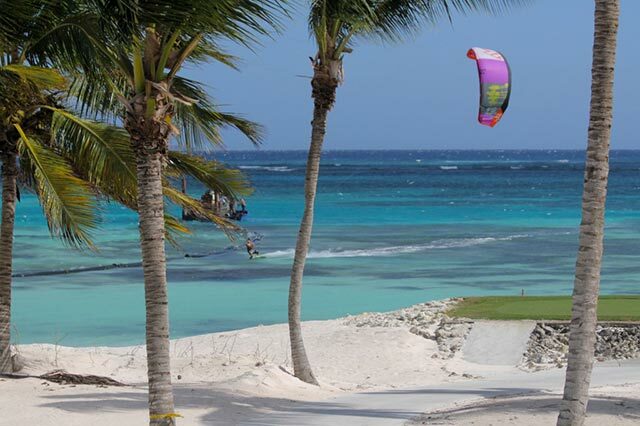 Whether you call it kitesurfing , kiting or kiteboarding it’s all a lot of fun! With new breakthroughs in design and teaching protocols, kiteboarding is now not just limited to the few cutting edge pros, but to just about everyone. Waterproof walkie talkies allow us to stay in contact with you at all times, even after you are ready to go solo, adding the extra layer of support. Please request this option at time of booking to reserve a radio . Another option is to be followed by your instructor on a surfboard, if you like this option just ask. We are always right there with you until you are ready to go solo. From absolute beginner to semi-pro, whether you want to pick up the fundamentals of kiteboarding, refine your kiteboarding performance, or learn to kitesurf big waves, we have a lesson designed for you! Maui Kiteboarding – wet, wild, and lots of fun! 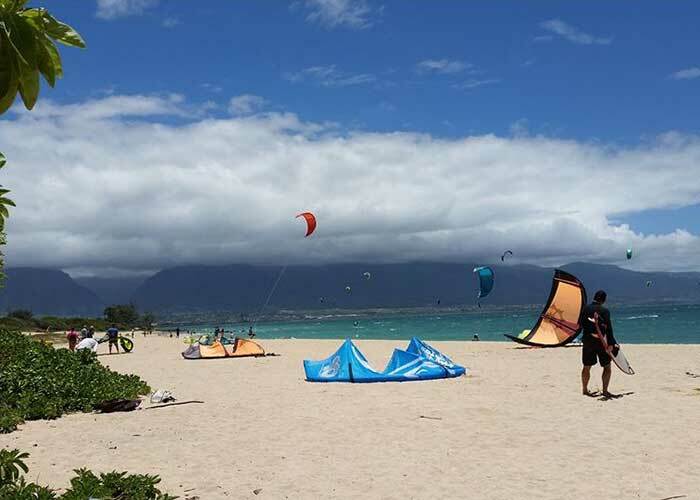 Kite Beach on Maui’s North Shore experiences more windy days than any other kiteboarding destination in the world. This is due to the valley between the West Maui Mountains and Haleakala, which creates a venturi effect and funnels wind across Kite Beach. You can expect anything from 15-25 knots+ on any given day with perfect water conditions to suit all riders from Beginners to Pros. This is what makes Maui the perfect destination for your kiteboarding holiday. What is Kiteboarding / Kitesurfing? If water fun is what you’re after, it doesn’t get better than kiteboarding, and here on Maui, the world’s best kiteboarding destination, you can learn how from the sport’s finest instructors. Kiteboarding, also known as kitesurfing, is quickly becoming the worlds newest and most exciting watersport. Kitesurfing/ kiteboarding or just plain kiting is a sport which combines the best of several sports: surfing, wakeboarding and paragliding and is more fun than all of them combined! Come out to Kite Beach and have some fun learning to kiteboard with Aqua Sports. Dubbed “The New Golf” by Forbes Magazine, kiteboarding is becoming the sport of choice for professionals all over the globe. “The camaraderie in this sport is unparalleled” say a Silicon Valley Professional . Many high tech companies are using kiteboarding as a networking tool and it’s just plain fun. To join the fun or if you have any questions please call us at 808 242 8015, or Click Here to contact us. We’re looking forward to helping you succeed in this finest of watersports!